Verlin is one of our more seasoned superintendents. He has worked on countless projects, many of them on the Sanford Health campus. 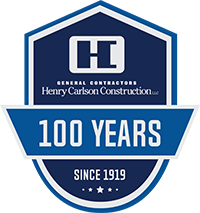 Before coming to Henry Carlson Construction, he served in a combat engineer unit in the South Dakota Army National Guard for six years and also did overseas construction work.